Join over 13,500+ subscribers for FREE! Get a BONUS 5-page vegan weight loss guide! What Do You Have to Give Up to Be Vegan? I've been a vegan long enough that I can remember the hideous first attempts at dairy-free cheese, but not so long ago that I can't remember how hard it was to give up "real" cheese. During that time I've learned an incredible amount about this animal-free lifestyle; everything from the ethical reasons to stop eating meat to the health benefits of a plant-based diet. I stopped eating animals because I have a deep belief that it's wrong to harm animals for our own benefit. Some people stop eating meat because they learn that the food industry has been directly responsible for a huge portion of climate change. Still others have tried going vegan and recovered energy they hadn't felt since childhood, lost weight, and overall felt so much better, so they never looked back. The best news is that you don't have to sacrifice flavor to honor your values. The one thing I've found that brings us all together is food. Vegans do not eat side salads and plain vegetables all day long. I mean, honestly, we do sometimes, but only when trying to play nice at dinner with our bosses or in-laws. The rest of the time we're probably munching on something absolutely delicious that you'd never know had no cheese, milk, or meat in it. Are you sad you won't eat good sushi ever again? Don't be! 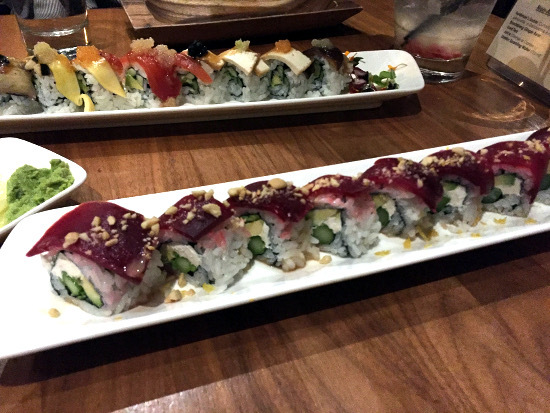 Check out this decadent vegan sushi from Shizen in San Francisco. That's not tuna; it's beets! Burgers have come a long way since those first Bocas. 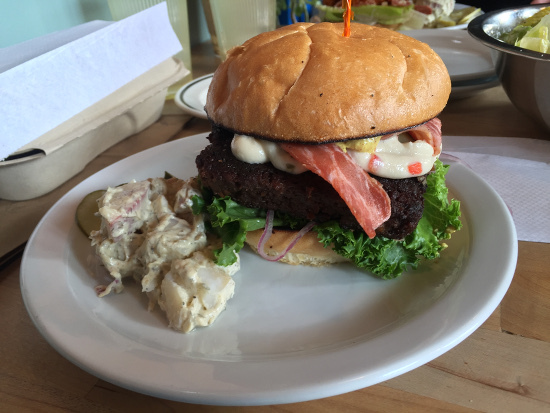 This is a handmade one from The Butcher's Son in Berkeley, and we're in an age when you can buy amazing vegan burgers in the grocery store. Soon you should even be able to buy one with that rare interior with beet blood. 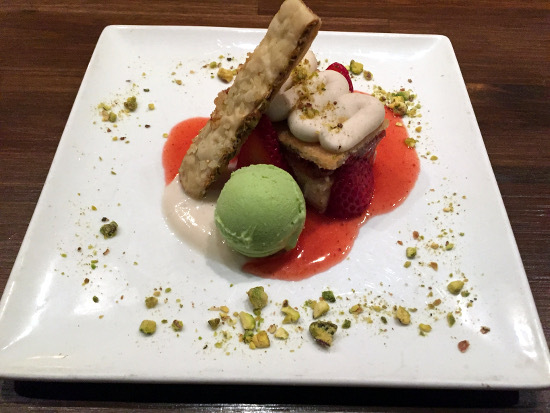 You can even have absolutely stunning, fancy desserts like all your omnivorous friends. I can't tell you how often people switch diets and them tell me, "We eat so many more types of food now." Though it may be hard to believe, not all cultures center their meals around meat or dairy products. Many Asian cultures eat meat just as a garnish for their meals. 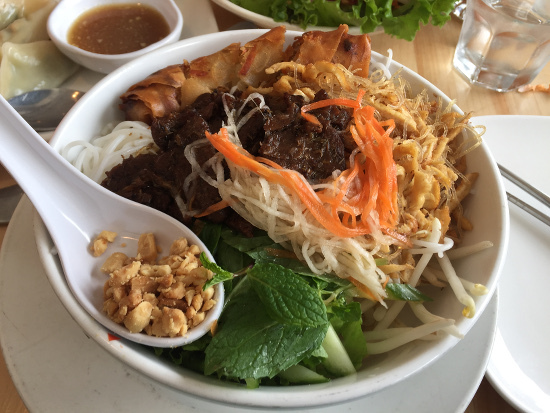 I adore Vietnamese food, and I find vegan Vietnamese in most cities. Just watch out for hidden fish sauce. People sometimes ask say, "Can you eat this?," and it makes me giggle inside. I choose to eat the way I do; no one tells me one way or the other. And so yes, I can eat that, but I will not. I never think of my life in terms of what I cannot eat, but instead focus on what I do and will eat. And I do and will eat anything, and as much of it as I want. Eating real, whole food makes you feel amazing, and your body is trying to tell you something: feed me more of that food! It's time we all stop listening to fad diets and start listening to the real truth we have hidden inside of us. 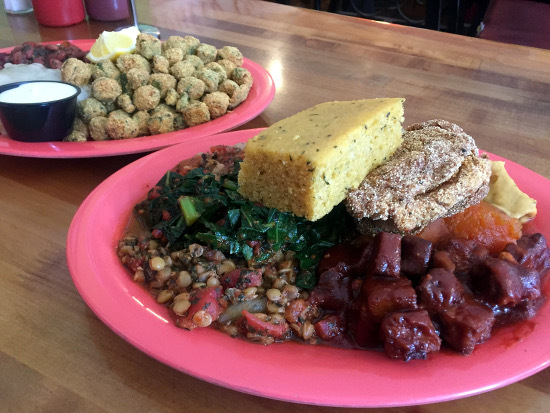 Can vegans eat soul food? You bet. There's nothing better you can do for your health than choose to ingest only the foods nature created. 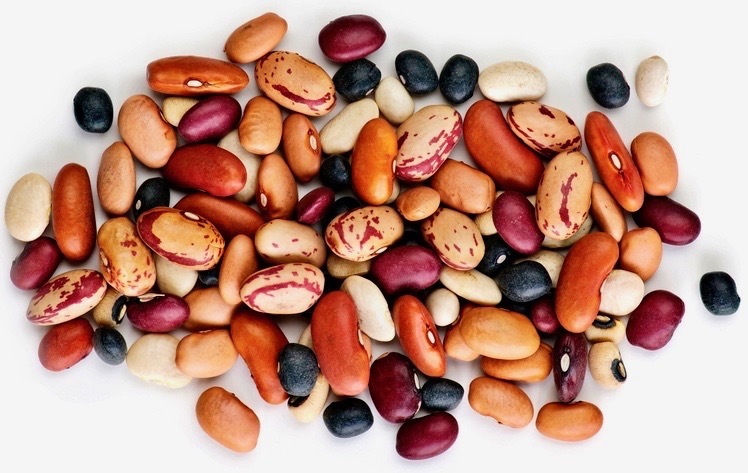 Our delicate human bodies aren't designed to eat animals, but we can easily digest whole grains, vegetables, beans, fruits, and nuts and seeds. But what brings us all together is the food. 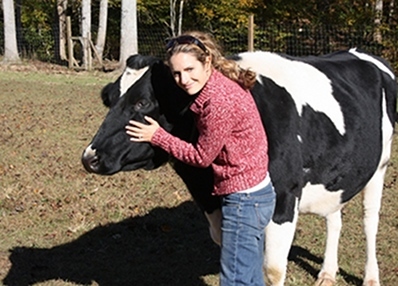 I know quitting meat and dairy products can be challenging. I wasn't raised this way- I grew up eating meat, fish, milk, eggs, and cheese like most other American kids. I did become a vegetarian when I was 12 years old, mostly because I was an avid animal lover, but partially because my best friend's older sister was cool and a vegetarian. It wasn't until I was in my early 20s that I went vegan. And I remember how ridiculously hard it was to break up with cheese. She didn't go without a big, emotional fuss. The idea of never munching on Gouda and grapes ever, ever again was tough for me. But I took it one day at a time and now I cannot stand the smell of cheese. I also worried about accidental slip ups, answering when people gave me a hard time, getting enough protein, and my general ability to commit to this for life. Now I can see that all that worry was completely normal, but also unnecessary. 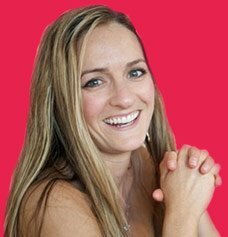 It was easier than I ever thought it would be to change my diet and life and I felt so much better. You are not alone in this process. My goal is to share the wealth of information I've accumulated over the years and ease or improve your transition to a new, healthy, plant-based diet. 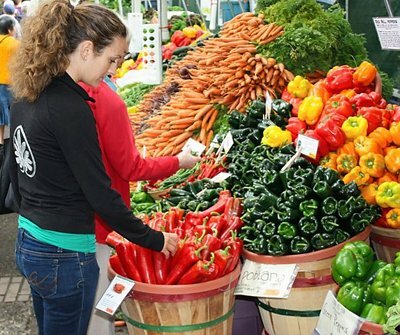 ...focus on local, seasonal, organic, whole plant foods with a healthy macrobiotic diet twist. You will find some pages on meat-free, dairy-free junk food and fake meats and cheeses, but we stick mostly to real food. 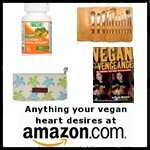 ...give you tips on ditching the meat and dairy and making the switch; becoming vegan. ...share my guidelines for following an appropriate vegan food pyramid, and thoughts on what works with the USDA new food guide pyramid. ...prove that a plant-based diet positively impacts your health, the environment, the economy, and farm animals worldwide! ...show you my favorite cookbooks, documentaries, and books. ...brag about the best recipes all from my own brain: some veganized from old favorites, and some improved from other cookbooks and websites. 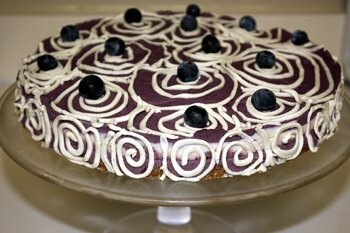 Plus, give you a forum where you can find other readers' recipes and share your own. ...offer you my easy-to-follow, simple, and delicious vegetarian meal plans, menu ideas, and more! 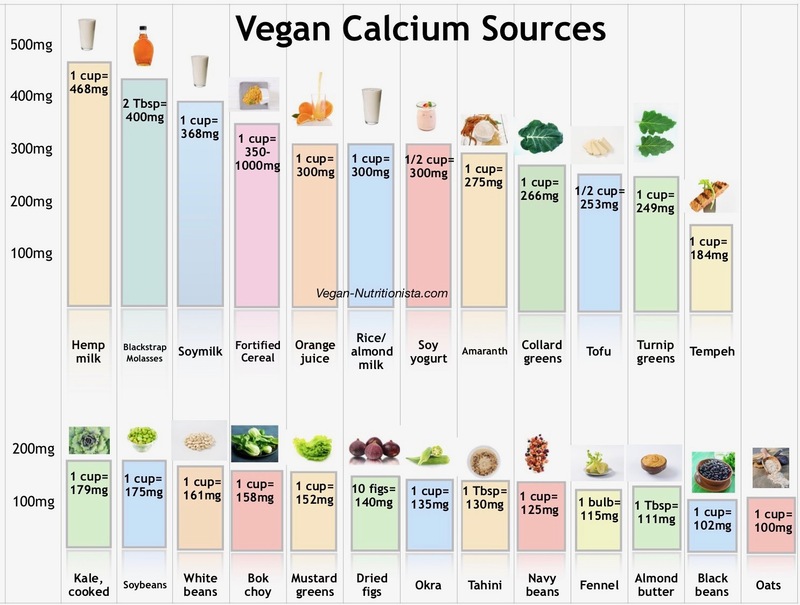 Are you looking to prove there are plenty of vegan calcium sources to keep you healthy without drinking milk? Look no farther, I've got you covered with a list and a pretty chart. Have you started eating vegan and find yourself spending more time in the bathroom? There are numerous natural gas remedies that you can use to prevent and cure any embarrassing sounds and odors. 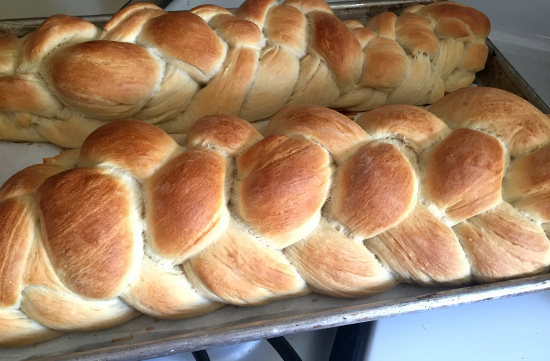 I made this vegan challah with aquafaba (the liquid from a can of beans) instead of eggs, and it was so fluffy and light and absolutely delicious.